Hi, Jessica here! We’re wrapping up our collaboration with Altenew and while it wasn’t my month I couldn’t help but play along, too! 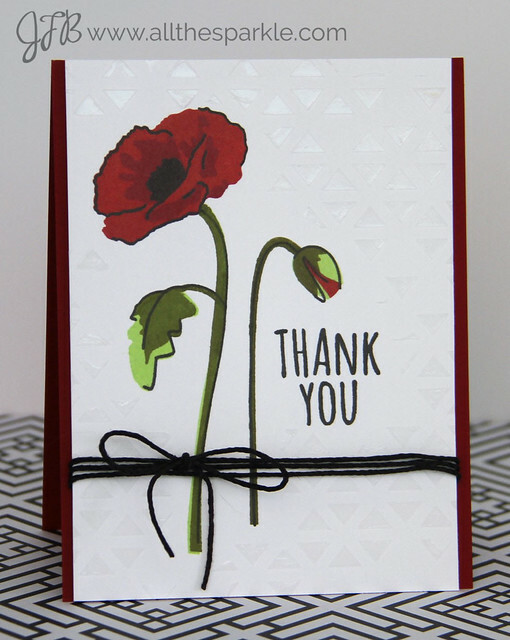 I love the Altenew Painted Poppy stamp set and I knew I wanted to use it for my card! 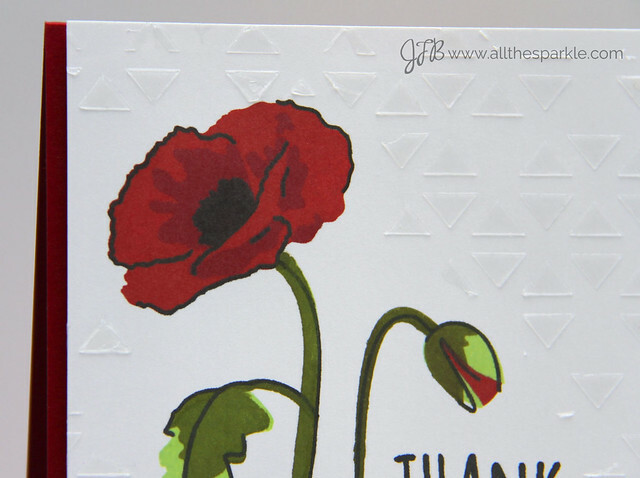 I started off by stamping the first layer of the poppies with Simon Says Stamp Lipstick Red ink and then stamped the top layer with Simon Says Stamp Schoolhouse Red ink. The leaf was stamped in Hero Arts Field Green and Forever Green shadow inks and the outline was stamped in Memento Tuxedo Black ink. Next I placed the Hero Arts Triangle Patterned Background Stencil over the panel and applied Dreamweaver Translucent Embossing Paste. Once that was dry I tied a little black twine around the card and mounted it to a A2 cardbase of Simon Says Stamp Lipstick Red cardstock with foam mounting tape. Many thanks to Tasnim Ahmed, Jennifer Rsaza, and Altenew for collaborating with A Blog Named Hero this month! I hope this collaboration encourages you to mix together some of your products together! is awarding one random entry with a $25 gift voucher!! Love that translucent background! So pretty! !